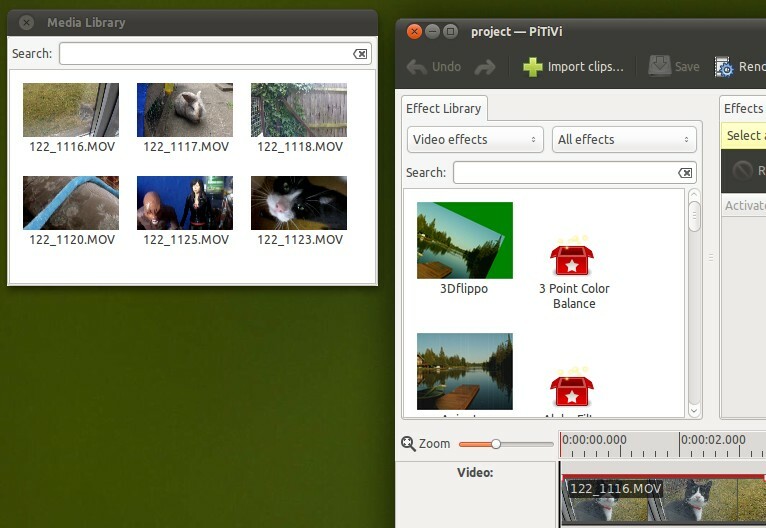 PiTiVi video editor update adds over 100 video effects, various interface tweaks - OMG! Ubuntu! 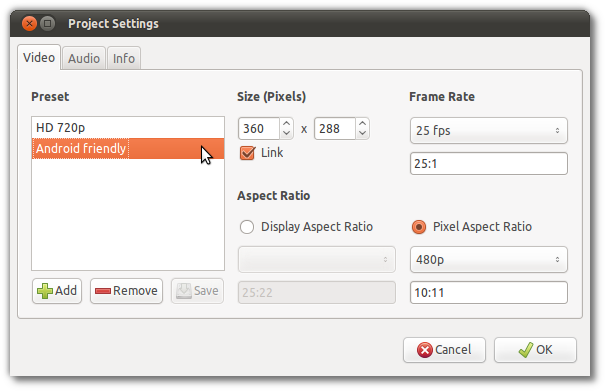 A new release of GNOME video editor ‘PiTiVi’ has been made available and sees the oft-cited “basic video editor” gain some impressive new audio and video effects, as well as interface improvements and bug fixes. Of the highlights in this release are, of course, the introduction of long-wanted audio and video effects. 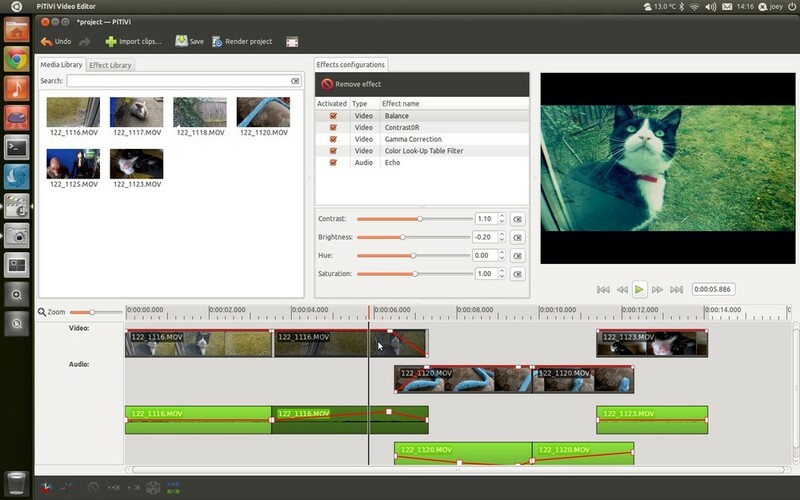 PiTiVi has always been a capable, stable video editor – it just lacked an arena for users’ creative spark to ignite in. That’s been more than addressed with the introduction of over 100 different video and audio effects in this release. These range from your simple picture level adjustments to more advanced tools such as chroma key, image manipulation and lens correction. But it’s not all bling for the sake of bling: PiTiVi 0.14 also sees a bout of much-welcome interface improvements. First and foremost is the new “Welcome dialog”. This greets you on first launch and helps you get started on a new project or resume work on a current project. The redesigned ‘Project Settings’ dialogue is also great: you can easily create configuration “presets” to apply to new projects. Specify width, height, out put format, and more. A simplified rendering dialogue, which keeps true to the GNOME ethos by being incredibly simple to use is present, as are detachable tabs (below). The latter feature will help you to create an application workflow adapted to your needs, and not the other way around. 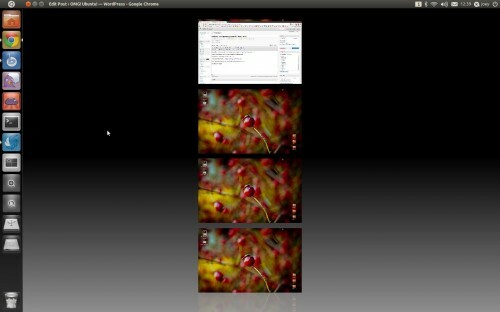 Ubuntu 11.04 users can upgrade PiTiVi using the following ‘PiTiVi Stable PPA’. Ubuntu 10.04 and 10.10 users can upgrade PiTiVi using the GStreamer Developers PPA. Note that this method is not recommended for users on production systems as the PPA contains other software which one may not wish to upgrade.